The best ecommerce confirmation email ever? Not snowsports, but great customer service deserves a recognition whenever it’s seen. 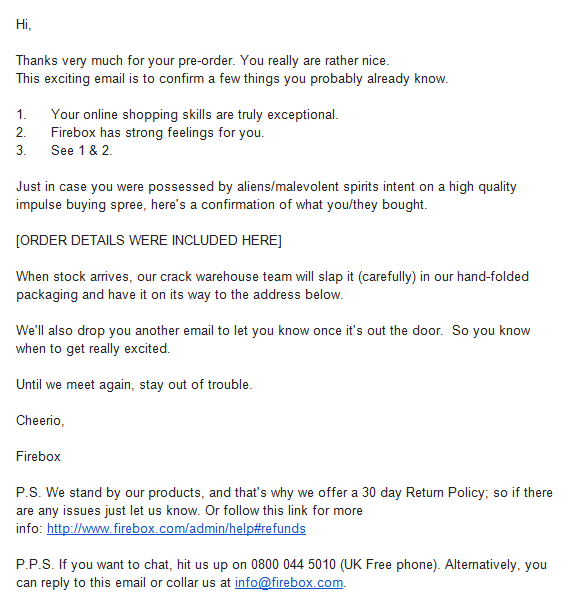 So just check out this superb confirmation email from Firebox – possibly the best ecommerce confirmation email ever?